Our Shoulder Armour with Neck Guard is great for those who do not want to wear a breastplate or cuirass, as the pauldrons connect right to the included neck plate. 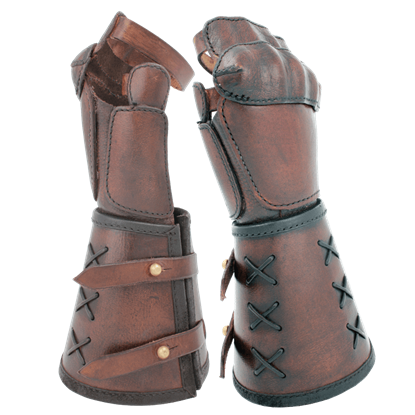 The set will look great whether you pair it with some arm bracers and greaves or go all the way with full body armour. It is crafted from 8-9 oz. leather and available in black or brown. 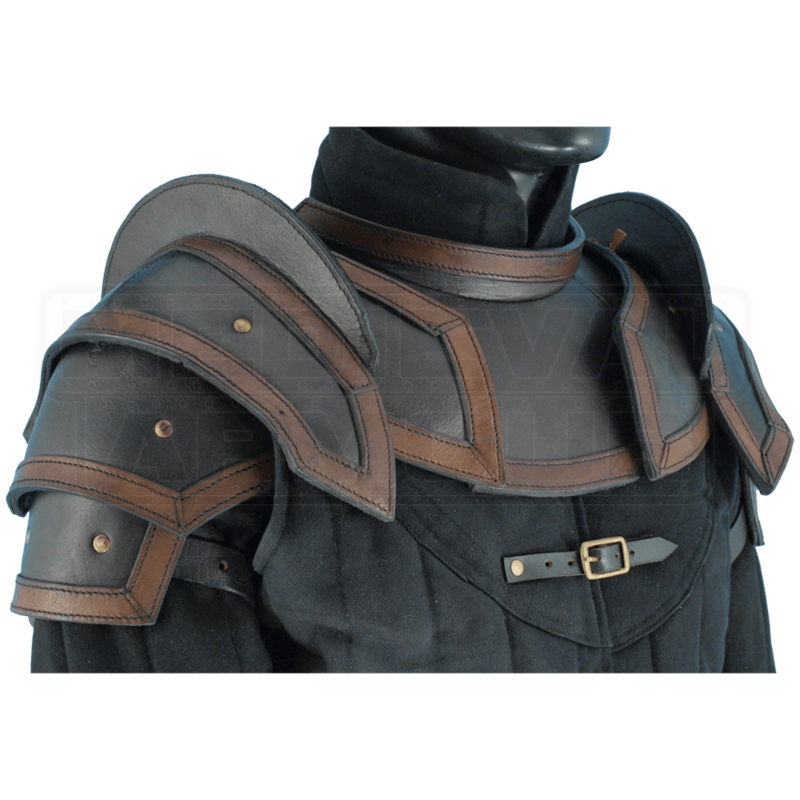 This set includes the leather gorget and a pair of pauldrons. 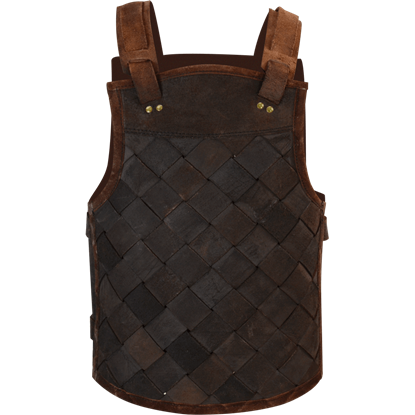 It is great for LARP, Theater, Movies, Costumes and the SCA. Beautiful workmanship. Nice strong leather. Can't be worn by itself, you need to attach it to chest plate. It also hinders movement of your arms to some degree. But overall good quality work. 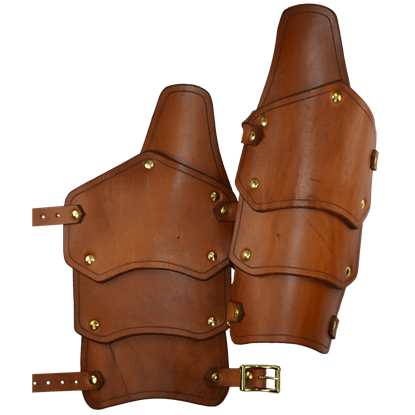 The Reginald Leather Arm Bracers are bracers cut for a warrior. These hand-crafted bracers feature a distinctive shape and form that, when worn, creates a sleek, streamlined look that is as attractive as it is effective.